Rapper Kanye West has managed to kill an altcoin named in his honour, six months after it was launched by a team of developers. Called Coinye West, the altcoin was subsequently renamed Coinye in an attempt to continue its business activities even in the face of legal pressure. The developers envisioned Coinye as a fun and simple altcoin for the hip-hop community, and even tweeted news about its development to the rapper in the hopes he would embrace the concept. This plan backfired, however, as Kanye West sued the Coinye team on 8th January, starting a lengthy legal process that has been ongoing since this time. The resulting legal onslaught even caused the closure of one exchange involved with the coin’s planned launch. Originally announced on 3rd January and arriving shortly after the meme-based dogecoin, Coinye arguably arrived at the height of the altcoin industry’s more irreverent phase. Despite the legal challenges, the coin maintains an active Bitcoin Talk thread and reportedly still trades on some exchanges under the ticker symbols COYE or KOI. The altcoin met its end at a New York courthouse earlier this week when the 10 defendants lost by default, never bothering to respond to the case, according to Ars Technica. Three of the defendants, David McEnery, Harry Wills and Richard McCord settled with West. Under the terms of the settlement they are permanently banned from operating or using any website that features the “Kanye West mark” or any imitation of it. McCord’s lawyer said he was not even involved in the creation of the parody altcoin. He added that it is “unfortunate that a parody turned into such an expensive endeavor”, and that he views the whole process as a learning experience. It took Kanye less than a week to unleash his lawyers against the creators of Coinye. The developers responded by changing the visual appearance of the coin and their homepage. 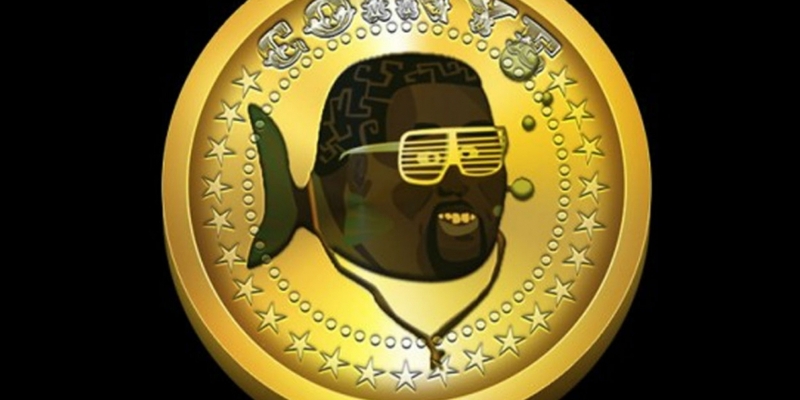 The redesigned coin featured an even less flattering portrayal of West, depicted as a fish, inspired by a South Park parody of West. The developers eventually decided to kill the project altogether, but not before Kanye’s lawyers tried to drag them and anyone involved with the project to court. Robbie E.C.A. Hontele, who has denied any involvement with the coin’s development, but was an admitted user of the coin, has since signed a settlement agreement. Hontele was reportedly misnamed as one of the coin’s developers in a video, thus causing his involvement.